the obsessive imagist | art, design, life: EAGER FOR UP: BALLOONS! 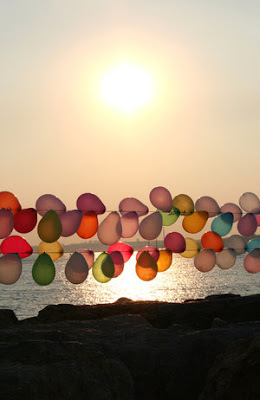 If you have ever read this blog, you know that I LOVE balloons. I can't explain why. There are just bright and floaty (which should totally be a word) and make me happy. 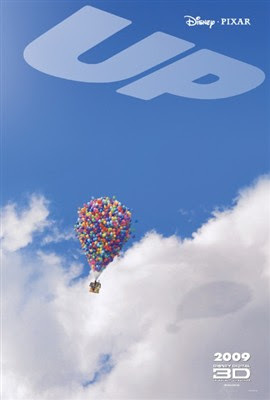 For this reason, I cannot wait until Pixar's new movie "Up" comes out on May 29, 2009 (as I have mentioned before, you can check out a trailer here). Along this same vein, I am definitely digging this photograph of a balloon line at sunset.